The Leukaemia is winning over the new donor cells. Unless we do something – Margot won’t be well in the next few weeks. Almost back to square one, but not quite, because she is clinically well currently. I ask Ancliff: Why not CHOP ? He is doubtful and doesn’t believe it is going to happen within the timeframe we have; ignoring the logistical aspects, the disease is growing so quickly. He believes they cannot even see us until September, at earliest. I query whether they can CONSULT sooner and my understanding was that they couldn’t TREAT until September. Let’s clarify. Ancliff believes CHOP aren’t keen anyway and they’re likely to baulk after these results are shared. I press him on this: Should we push the CHOP option ? It’s still our best chance to achieve a curative outcome. He believes CHOP aren’t keen because the programme is set up for dealing with standard ALL ; Margot’s isn’t standard. OK – but then CHOP should tell us then ! We need a response one way or another please. GOSH would be very happy to do it, if Amgen agreed. We will try and push to have it here. ii. Or a second transplant. Blina involves a one month infusion, in hospital as an inpatient. Portable pump after first 10 days. The drug company only permits deployment at Sheffield, unless we know someone at Amgen. Blina will potentially will make her sick. In a sense, it needs to in order to work. It’s a bit like the GVHD – they want to see a bit of it to know that the curative reaction is taking place. Usually this is an allergic inflammatory response, ranging from a skin rash to anaflactic collapse. It’s CRS (Cytokine Release Syndrome) again. Timing: Sheffield takes a week to get the drug. I’m concerned about the rapid progression of the disease. Is there anything we can give Margot this week to limit the leukaemia and that doesn’t interfere with either blina or cart ? Unfortunately no. Blina is not an open study currently; phase I study is completed – Phase I being the ‘dose finding / toxicity finding’ phase. Phase II studies are about finding efficacy. Blina is still not in open stage. Hence to involve Margot in this study, it would be termed “compassionate” treatment. If we start blina and she reacts badly, can we stop it ? Yes. Blina is CD19 specific (it’s about B cells), so it wouldn’t affect T cells. And preserves the CHOP route. Ancliff believes that Blina is likely to be a better route than controlling chemotherapy. – radiotherapy and it’s use with a second BMT. We haven’t tried radiotherapy yet primarily because between the ages of 2-3 there is significant risk (>50%) of “developmental damage”. How would it impact upon the risk of Margot being incapable of leading an independent life ? Something less than that. Future learning capabilities would likely be affected. – the Royal Marsden option ? – no further forward (on holidays !) but really it’s not a curative option. The Goal would be to manage Margot’s symptoms and achieve best quality of life for her. As it happens, she explains that they can manage leukaemia “very well”. Children tend not to die in pain. Often, they continue to live much as normal. Usually, it’s an internal bleed that occurs and they fall sleep and don’t wake up. There may be some anxiousness / agitation – then they go to sleep. 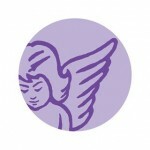 They tend to manage the pain with other drugs as well as morphine. She might be more sleepy at the end, but often that’s the disease rather than the drugs. The Palliative Team would come out to the house a lot – it’s very closely monitored. What’s the typical programme time ? It tends to be months. She isn’t more specific than that. 1. send CHOP Margot’s latest BMA results and ask if this changes anything ? And ask them whether it’s possible for imminent T cell collection. Push for this week. Or if not this week, then press for a clear response as to whether Margot is eligible and a timetable for us to aim for. That way, we can conceivably collect T cells, which CHOP will then modify. That process in itself takes a month. Blina treatment would be for a month, so it’s possible that Margot could have the Blina, which achieves remission for sufficient time to permit the CAR T cell route / a second BMT. Dr Ancliff will copy me on his email, which will be our trigger to push CHOP hard from other angles in parallel for a proper and clear response (it has been two weeks already). 2. Ancliff to get the ball rolling for Blina option. The drugs take a week to arrive so we are only likely to move forward with this early next week at soonest. Whilst we have had direct contact with Professor Ajay Vora in Sheffield (thank you Luisa), we clarify that we won’t get in the way of the good relationship the doctors already have with one another and Ancliff is to make that contact on our behalf today. Margot may need a lumbar puncture procedure this week to qualify for blina. Tbc shortly. My main concern with all this is that there is nothing we can do to halt the disease progression over the next 7 days; consequently, the disease may progress rapidly over the course of this week and this will all be for nought. I fear this may all be too late in the day. days are all precious right now) and then the remainder of the month with a pump attached to her 24/7. The odds are that she won’t come out of the hospital after she goes in. Do we really want to put Margot through that ? I’m not sure we will ever know the answer to that question. For now, I’m inclined to get the ball rolling this week (as above) and review again, once we have confirmation and green light for blina in Sheffield next week. We could always decide against going at the last minute. But at least I feel that we now have some sort of a plan. Ajay can see you on Thursday for assessment and diagnostic lumbar puncture in Sheffield. May need to be admitted Wed pm. Ajay commented that those who respond do so in the first 7-10 days. 15:05 Practicalities yet to be worked out, but Vicki and I agree to this assessment and procedure and request he gets the ball rolling. 17:13 We are torn. And I didn’t think I would feel his way. True, there’s a 30% chance this will bridge us to another treatment. But if CHOP say ‘no’, then the next follow up is BMT 2, which would involve radiotherapy and that comes with lasting damage for one so young. Risk of learning difficulties 50% and ability to be unable to look after herself “something less”. Reality check: there’s a 70% chance we spend the last 10 days of her life in hospital wired up to a machine. She goes in and doesn’t come back out. It could dispatch her (depending on how she reacts) within the first few days. Versus – a longer timeframe at home, using chemotherapy and being “fully functional” until the last, and with a quick end. I have pressed chop just now using this as a lever but in all honesty I’m not that sure I am bluffing. Vicki and I still have some (limited) time to think it through together. 17:20 Dr Ancliff replies in response to the ‘what if’ Margot’s blina experience results in her being one of the 70% where it doesn’t work. Essentially, that will be 7-10 days after it begins (ie we will still be in Sheffield) and will this simply mean that the disease will have progressed unabated from where it is today. ie we stand to squander what little time is left, being hooked up to machines for the 10 days that could be Margot’s last. By comparison, CHOP represents a 70%+ chance of success. Whereas success with blina is simply a bridge to either CHOP (if it remains an option) or a second BMT with radiotherapy ie we leap out of one uncertain situation right into another fraught with risk. Vicki reminds me that a second BMT was never really considered an option by the team at GOSH. At least not until Margot relapsed. We are headed home to have a conversation with the boys. 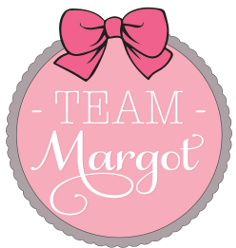 At the root of all this, and perhaps stating the obvious, we are keen to do what’s best for Margot and her life. 21:47 As is my way, I’m writing this to help order my thoughts but also sharing with my dr cousins so that they can hopefully follow our logic and expose any fallacies and misunderstandings. Our primary concern now is the very rapid pace at which the leukaemia has progressed over the last three weeks. No one prepped us to expect that and I don’t believe anyone really knows how it will develop from here. So being mindful of the last three weeks – by my own reckoning, if the disease is left unfettered, Margot may only have another 2-3 weeks left. Right or wrong, that’s what is front of mind for us and no one seems able to refute that or offer any better clarity around likely timing. Blinatumomab is effectively a bridge. Both my cousins have said as much independently. Ancliff today portrayed blina as being a bridge to either CHOP or a second BMT. In itself it isn’t sufficient because it is not likely to be a cure. Vicki and I are wary of the subsequent second BMT option, partly because it is, in all likelihood going to occur too soon to be ‘safe’ (we understand that blina may stave off the disease for a few months only, IF successful and they ordinarily recommend second BMTs two years after the first) because the chemo that accompanies the BMT is cumulative and may itself be life threatening so soon after the first BMT. And we are also concerned about the radiation therapy, which is advised in conjunction with a possible second BMT (the issue is Margot’s age – radiation therapy administered to under 3 year olds causes “developmental issues” apparently). 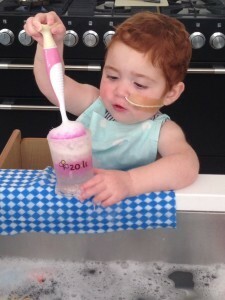 So as we understand it, a second BMT isn’t a very good option anyway, because it is itself riddled with uncertainty and it is likely to impact on Margot’s future life (high probability of developmental learning difficulties cited, as well as the potential inability to care for herself as an adult if her brain is affected). IF Margot were to make it through a second BMT, it could possibly mean survival and life, but there is a good chance her life might be impaired and possibly severely. Furthermore, we understand the success of blina is only 30%. And again, if successful it is likely to mean remission for a few months only – this is not intended to be curative. If blina doesn’t work ? it stands to reason that there’s a 70% chance it won’t; ie there’s a greater probability that it will fail. Professor Vora in Sheffield confirms that we will probably learn how Margot responds and know whether blina will be effective within the first 7-10 days after treatment begins. Consequently, if blina fails, the disease will have progressed unabated for that time, which could be 14-17 days away from today – by which time (by my reckoning) it may well be all over. And Margot will have spent the last days of her life hooked up to a machine in hospital, being made to feel very sick, rather than being at home with the family. As for CHOP, again right or wrong, we see this as the critical piece of the jigsaw. It represents a 70%+ chance of survival (at least for as long as the two year study has been running) and if we were to be fortunate to get an imminent consultation and collection of T cells, then immediately thereafter we could seek to manage the leukaemia by way of chemotherapy / blina treatment, until such time as the T cells had been modified by CHOP and actual treatment were possible. We understand that we cannot administer chemo prior to CHOP taking Margot’s T cells because the chemo destroys T cells (and there won’t be anything to collect!). Hence the renewed pressure on chop today. So if chop agree to treat Margot very quickly, then we will seek to embrace that option quickly and fully. And if chop don’t, then we are currently minded to regard the blina route as a bit of a futile path, for the reasons outlined above and so then our thinking is to simply manage the disease and symptoms in as unintrusive way as possible and to enjoy what time we have left. Right now, we are waiting for chop to respond. But otherwise we will go to Sheffield on Wednesday and have Margot assessed and then they will take a lumbar sample (to check for leukaemia in her CNS). We are going to discuss whether they inject intrathecal chemo into her spinal fluid when we meet the doctor on Wednesday in Sheffield. If it interferes with chop (and we haven’t heard from chop by then) then we will probably ask him not to administer it. Of course, I may well wake up tomorrow and have changed my mind ! 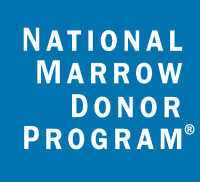 The following day, we received an email declining Margot for CAR T cell therapy treatment at CHOP.